On the evening of January 23, 2017, on the small stage of a St. Louis midtown art venue — The .ZACK — Elizabeth Ann Townsend put her heart and soul into telling the story of Patricia Prewitt in her solo piece COUNT TIME! The Life and Times of Patricia Prewitt. Written and performed by Townsend, the 60-minute performance piece, directed by Seth Gordon, portrays Patricia (Patty) Prewitt’s story. 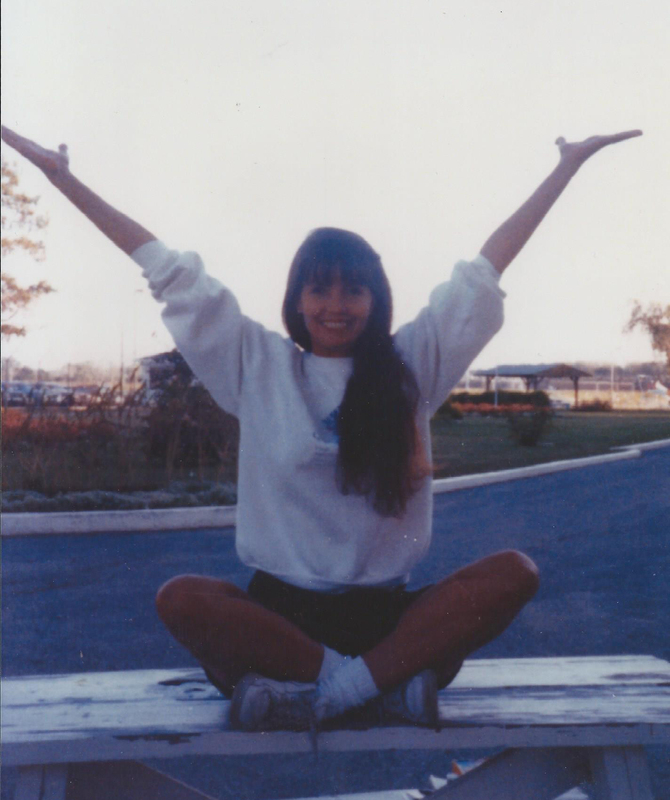 According to Townsend and countless others, Patty was wrongfully accused and unjustly convicted of the murder of her husband, Bill Prewitt, in 1984. Since 1986 Patty has been incarcerated with no hope of parole until 2036. She is currently locked away in the Women’s Eastern, Reception, Diagnostic and Correctional Center (WERDCC) in Vandalia, Missouri. Drawing upon her interviews with Patty, her daughter, lawyers, friends, a sister inmate, as well as portraying the prosecutor in his own words from his book: Practice To Deceive, Townsend crafted and has performed the piece to raise public awareness of the injustice Patty and her family continue to endure. The piece also addresses how other incarcerated individuals suffer injustice under our punitive criminal justice system. Townsend met Patty Prewitt through the late Daniel H. Kohl, who served for many years on the board of directors of St. Louis’s Prison Performing Arts organization. In 2013, Kohl approached Townsend at a fundraiser for the Actor’s Theatre of St. Louis. What the gentleman handed to Townsend were two poems written by Patty and one of them, “Keep It Real,” became the opening for COUNT TIME! Playing multiple roles, Townsend delivers episodes of Patty’s life from Bill and their teenage love, their marriage, children, marital challenges, reconciliation, then Bill’s murder, to the events of her life since her incarceration in 1986. The stage is bare except for a cot, a desk and a chair. Patty’s family photos are projected on a screen, including a photo of her wedding to Bill, Patty holding her first-born, and her five smiling children. A couple of photos were taken during visitation after her incarceration. The photos not only make Patty “real” to the audience, but show the extent of the damage to her and her family. Using the multiplicity of characters, voices and perspectives, Townsend’s narrative leaves the impression that the original investigation was carried out in an extremely hasty manner with crucial evidence—including Patty’s sexual assault by the intruder—purposefully withheld. 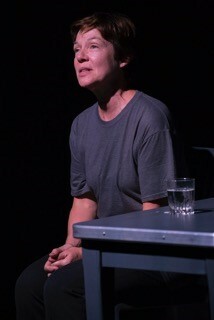 Using humor and pathos, Townsend illuminates the despair and hope which Patty daily experiences through stories about strip searches, despair at her father’s death while she is trapped in prison, her low-paid jobs, and also Patty’s positive energy and laughter that she inspires in other inmates as she teaches her yoga class with the intent to raise their self-esteem. “Being real in the free, real world” is a mantra of this piece. 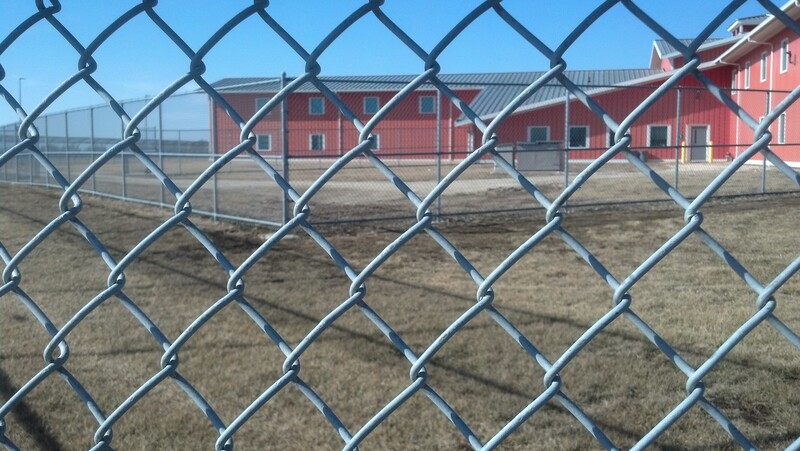 Confined in jail, one is quickly forgotten and wiped out from the “real world” on the other side of the fence. Fighting against this systematic erasure is the only way to keep living with hope and it is apparent that Patty has not given up. By the end of the piece, Townsend, as herself, shows the audience all of the crocheted Christmas and birthday gifts she has received from Patty since Christmas of 2013—scarves, ear warmers, a shawl, a bag, fingerless mittens, and a hat. These gifts attest to the passage of time since 2013 when these now dear friends first met. This also reflects the 30 plus years with 6 different governors to whom Patty’s supporters have written thousands of letters of appeal. COUNT TIME! The Life and Times of Patricia Prewitt was originally staged at the St. Lou Fringe Festival in August 2016 where it received the award for Best Production. It was also presented on December 5, 2016 at the Rally for Patty. The rally was organized to convince Jay Nixon, the outgoing governor of Missouri, to commute Patty’s sentence. In January 2017, Eric Greitens became the Governor of Missouri. To keep sending letters for Patty’s parole to the new Governor is important. However, as Townsend describes in her brief speech after the performance, pushing the state legislature to pass a bill for “the early parole of geriatric inmates” would benefit Patty and other elderly inmates. The play’s title is from Patty’s life in prison. 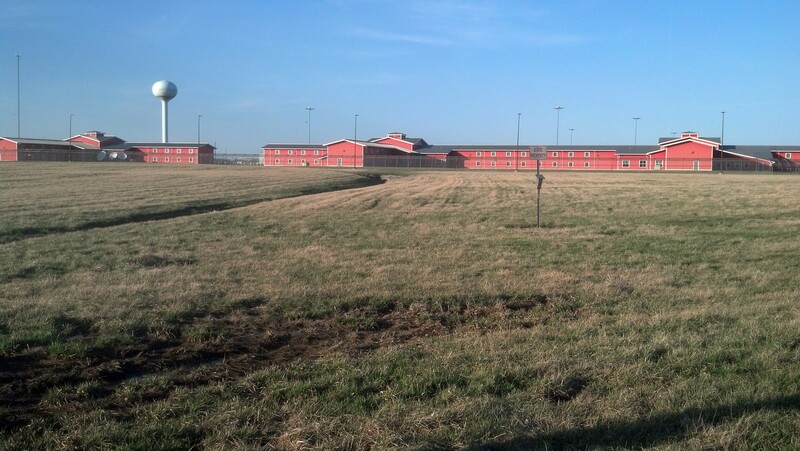 Several times a day, offenders are lined up and counted after the announcement: COUNT TIME! The words “Count Time” also suggest Patty’s fear of not being able to survive to see the “real world.” It is also the fear of her family and friends. Yet, with “!” after “Time,” the audience can feel, from the title and performance, Patty’s strength that keeps her alive with hope and love for and from her friends and family (she has 4 surviving children and 7 grandchildren). To illuminate this beautiful paradox, the play concludes with Patty’s poem “COUNT TIME!” which she wrote for this performance piece and narrates herself. Wait, wait to be counted. Time is not waiting for me. 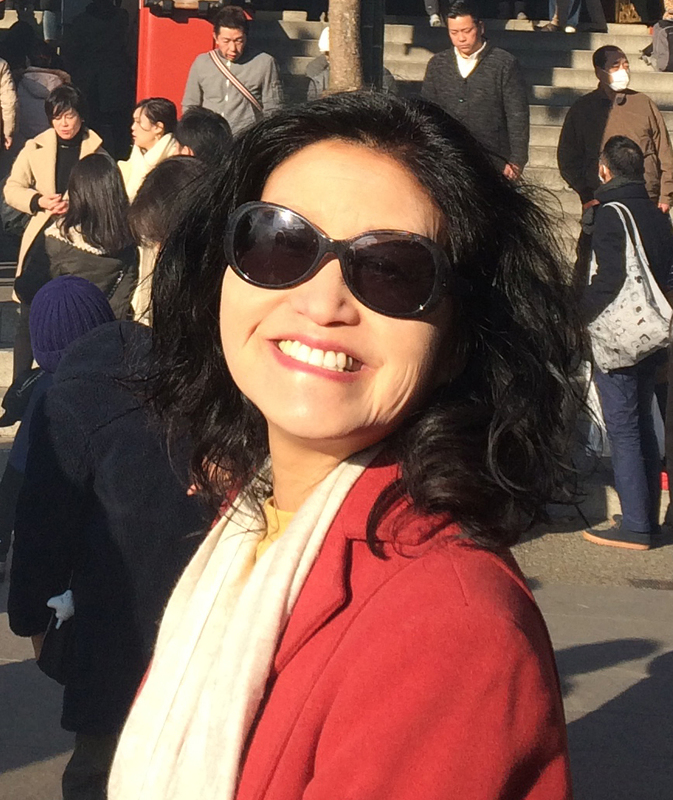 Yuko Kurahashi is an associate professor of theatre in the School of Theatre and Dance at Kent State University. Her areas of specialty include multicultural theatre, community-based theatre, and intercultural theatre. She is the author of Asian American Culture on Stage: The History of the East West Players (Garland, 1999) and Multicultural Theatre (Kendall/Hunt, 2004 & 2006). She writes reviews and articles for scholarly journals and other venues and she is an official contributing writer for PlayShakespeare.com. Married to a man born and raised in San Diego, Kurahashi commutes to the America’s finest city, where she enjoys her theatre, culture, and community activities. « How Do We Stop Trump and Win Gains in Justice and Equality? Very proud of my SIL Elizabeth for all she has done to make Patty’s story known to the rest of us. Hopefully the new Governor will notice and act. Elizabeth has done a brilliant work with Count Time! The research, writing and portrayal of my friend’s difficult and courageous life is impeccable. I will be forever grateful to her for telling Patty’s incredible story.